One of the more popular Chromebooks of 2017 was the Samsung Chromebook Plus. 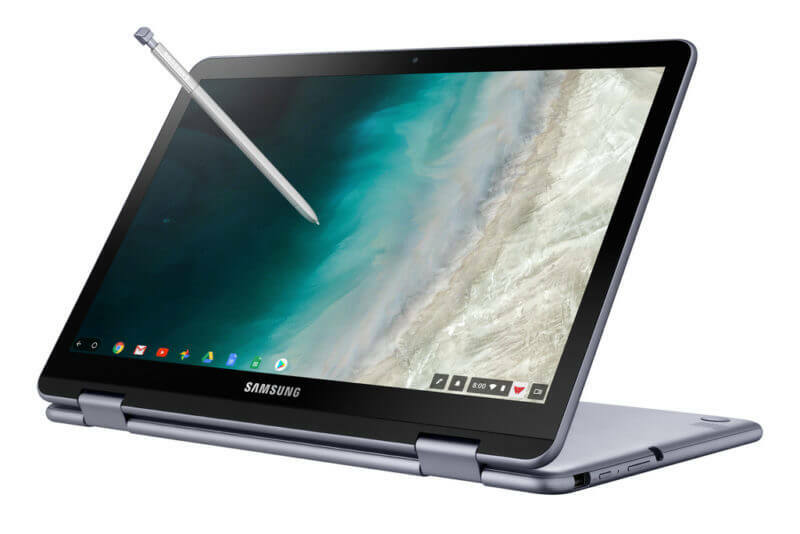 Now as we get an improved version of it for 2018, the Samsung Chromebook Plus V2. Sporting a slight redesign, the big news on this update is the internals have been improved for better performance. Internally, the Chromebook Plus V2 is powered by the Intel Celeron 3965Y clocked at 1.5GHz. It is coupled with the Intel HD Graphics 615 but still has 4GB of RAM and 32GB of Storage. While still very much entry level processors and graphics, it is a jump up from the previous version which was ARM based. This should improve overall performance in Chrome OS but also should improve Android app performance. Price wise, you are looking at $499 and you will be able to buy it starting June 24th. Frankly it is probably not the best value for the money when it comes to a Chromebook with these specs, but it is good to see Samsung continue to push their commitment to Chrome OS with this update.